Team EvoAZ's Sales Totaled $2,698,311.00 for February 2019! Posted on March 5, 2019 by Katie Lambert. With winter behind us (don't say that to anyone from a cold weather state...ha ha) we are heading into what appears to be yet another busy season here in the Phoenix area. We've depleted a little more of our inventory than we did in January and it doesn't appear we are stopping anytime soon. Here at Team EvoAZ, we had 10 closings in the month of February totaling $2.9M and it looks like March is ramping up to be a great month too. Sellers, you need to continue to be realistic if you want to sell. Buyers, contact us to begin before the real rush hits in a few weeks and there is more competition in the market for you. Text my cell at: 480-250-0023. 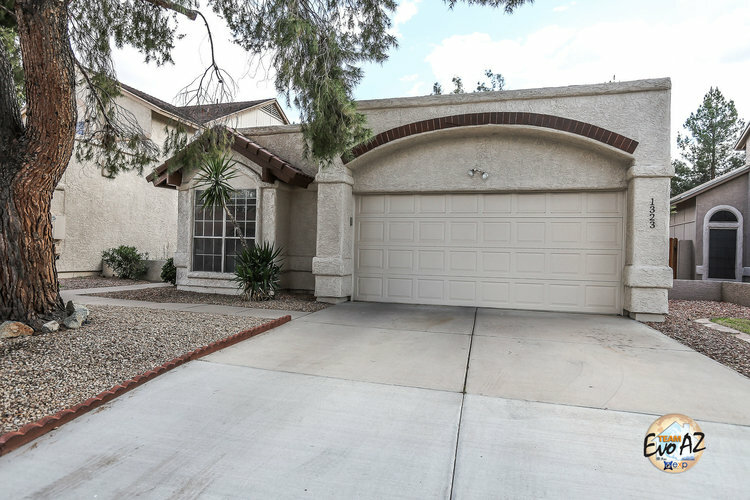 Located in the heart of Chandler, this spacious single level is the perfect combination of efficiency and comfort. Split two bedroom floor plan with oversized master bedroom, large great room with vaulted ceilings and formal dining room (or den). New roof as of 2017, recent exterior paint, new interior paint throughout and new flooring as of 2019. The 2 car garage and been completely painted and new stainless kitchen appliances installed. Light, bright and private with oversized lot. Just a few doors down from the enormous Brooks Crossing Park, within 2 miles of all the shops, restaurants and night life in Downtown Chandler and 2 miles from the 202 and the 101. Posted on February 21, 2019 by Katie Lambert. Adorned with a custom steel double-door entry, beautiful travertine tile and dramatic wrought iron staircase, this formal entry is spacious and inviting. The formal living room is comfortable and stylish with crown molding, plantation shutters, wood look tile flooring and that perfect shade of custom paint. Loaded with windows, the bright and spacious formal dining area offers views of the pool and sprawling, lush, grassy back yard lined with mature citrus trees. The family cook will feel spoiled in this gourmet kitchen with subzero refrigerator, gorgeous, custom cabinetry with neutral glass subway tile backsplash, enormous walk-in pantry, island with veggie sink and plenty of granite countertops. Wide open to the large family room / game room with faux beamed ceilings, custom cabinetry and floor to ceiling windows. Four bedrooms and three-and-a-half bathrooms are located on the first level. Split floor plan with two bedrooms have bathroom en-suites and the other two share a Jack and Jill bath. The large laundry offers plenty of cabinets, folding counters and space for an additional freezer or refrigerator. The owners retreat, with loft and additional bathroom, is private and romantic with double door entry, stone fireplace and private exit to the extended covered balcony. Relax in the above ground spa or find the perfect spot for a cozy hammock. The giant master bathroom with double sinks, granite counters with room for a vanity chair and soaking tub also has a large, walk-in shower. The walk-in master closet has organizers, drawers, shelves and hanging rods with cedar wood. This 18,600+ square foot lot offers an abundance of privacy and space for family and pets plus an extended covered patio with built-in BBQ, Pebble Tec pool with water feature and spa and plenty of mature trees including citrus. The urban village of Ahwatukee offers easy access to the 10 and the 202 (which will soon connect to the west side). 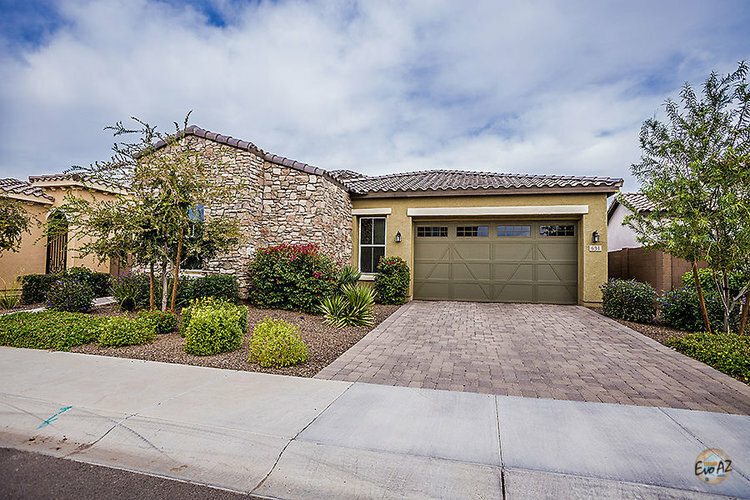 Located within minutes of miles and miles of jaw dropping hiking and biking trails in the South Mountain Preserve, within minutes of a tasty selection of restaurants and popular shopping centers, this area has so much to offer with a small town feel. Posted on February 18, 2019 by Katie Lambert. Posted on January 9, 2019 by Katie Lambert. Team EvoAZ's Sales Totaled $2,717,990 for December 2018! Posted on January 8, 2019 by Katie Lambert. 2018 was a great year for Arizona on almost all economic fronts. Real estate felt growth on all sides with some resistance from competitive low inventories, fluctuating mortgage rates and markets. Appreciation was felt across the entire valley. We are honored to have had the opportunity to work with so many amazing clients. In 2018, we sold 77 homes at a total volume of $23.5 Million. We are very excited about this year’s evolution in this ever-changing industry and market. When it comes to giving our clients the very best service, we rely heavily on our ability to grow and adapt quickly. We here at EVOAZ.com take pride in the passion each team member possesses and emulates through their very individual and unique craft. The Definition for team in the business world is a group of people with a full set of complementary skills required to complete a task, job or project. Here at EvoAZ, each team member is seasoned and skilled in all areas of the real estate sales process. However, each member has a very specific focus and roll in daily operations. This allows each team member to produce a higher quality service by not being deluded or distracted by very diverse, wide range of duties and responsibilities in one single transaction. This efficient approach allows us to communicate with our clients in a very proactive manner keeping you prepared and informed every step of the way. Our involvement with the community keeps our finger on a very real pulse. Working with so many people and groups gives us this very organic connection to the market. Working with Momnationaz.com has been a humbling experience in helping so many amazing families create a home. Mesa Historic Districts, it is always a privilege to sell a Historic home rich with character and story. Heritage Capital USA, creating and designing as partners has allowed us to give our clients seasoned guidance and referral in construction and or redesign. Cactusdodgeball.com, sponsoring you for the last 7 years has kept us young! Working with the amazing group of people who play dodge ball in home selling or buying has been awesome. A huge thank you to all of our partners who supported us. Lastly, a Huge thank you from the bottom of our heart to Revelationrealestate.com. They have been home to EVOAZ.com since its inception in 2009. It has been my personal home as a realtor since 2006. We could not have evolved to where we are today without you. Stay tuned for all the details on move to exprealty.com and what 2019 has in store!! Posted on January 7, 2019 by Katie Lambert. The kitchen overlooks the gorgeous back yard with pool, spa and fresh turf that will always be green without any maintenance! Stainless appliances include double wall ovens and fridge with freezer on the bottom. All granite counters adorn the bright white cabinets and all new tile flooring. Glass french doors separate the formals from the family room with style and another set of french doors lead to the spacious back yard with extended covered patio featuring a misting system. The family room is huge and has a fireplace. The all tile staircase leads to the 2nd level with oversized master, three secondary bedrooms and full guest bath with double sinks and separation between the sink and shower areas. Double door entry to the master bedroom that offers space for a sitting area, private fireplace and HUGE master bathroom with double sinks, a soaking tub, large walk-in shower and walk-in closet with organizers. This corner lot offers a built-in BBQ with paver surround, tons of fresh turf, an RV gate with street access, pool and spa. Ask about the chemical free pest control system! The 3 car garage with cabinets galore offers plenty of space for your cars and toys while delivering organized storage space for your tools, garden equipment and holiday decorations. Along with recent updates, fresh paint and new flooring, this home offers new AC's (replaced in 2014), roof (replaced in 2015), fridge (2014), double oven (2017), laundry appliances (2013 & 2015), windows (2016) and pool pump (2016). The pool does have a collapsible fence that conveys. VERY close to the Sun Cir Trail and canal system for endless walking, running or biking fun. Close to Stroud and Carriage Lane Park, the freeway system, tons of restaurants and shopping and just a few miles from the Ken McDonald and Dobson Ranch Golf Course. Posted on December 13, 2018 by Katie Lambert. Team EvoAZ's Sales Totaled $1,251,918 for November 2018! Posted on December 4, 2018 by Katie Lambert. Former Model Home! AWESOME location at McKellips and Val Vista this FOUR BEDROOM gem sits on a spacious corner lot with RV gate, extended covered patio, built-in BBQ, outdoor fireplace with lots of flagstone, seating, an orange tree and green grass galore! ALL NEW laminate wood flooring (2018) in the living room and kitchen that perfectly compliments the warm, knotty alder cabinets and neutral counter tops. Finally the counter space and storage you've been after with kitchen island and wall of double stacked cabinets. This is the perfect entertainment home with double door exit to the back patio and half bath on the first level. All four bedrooms are upstairs with full guest bathroom and full master bath with double sinks. The master bedroom, split from the other three, is spacious with a "loft"! And, yep, you can sleep up there!! It's currently being used as extra temp controlled storage space. The RV gate is at the back of the house and accessible from the street which makes it very easy to store your toys, trailer or pop-up camper. Located in a very popular community with amenities including a pool, tennis court & 2 racquetball courts! Close to the 202 and not too far from popular restaurant, shopping and nightlife locations like Dana Park and Riverview. 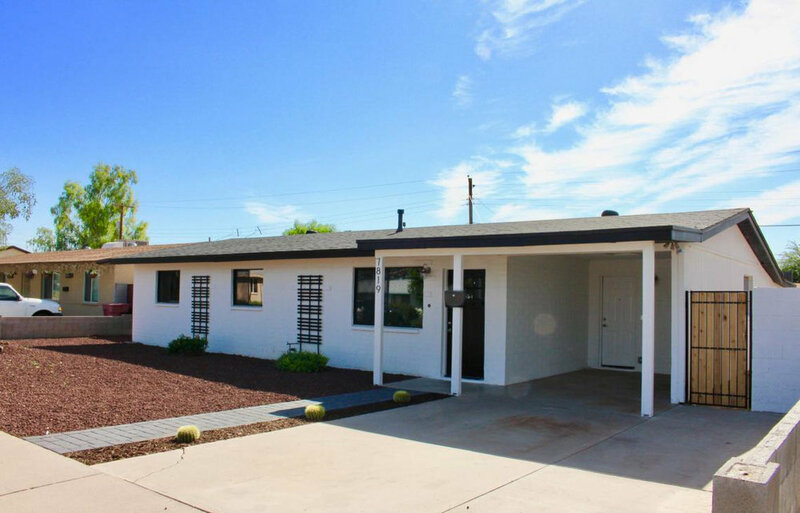 If you are a hiker, 4-wheeler or if you enjoy frequent visits to the most beautiful lakes and rivers AZ has to offer but don't want to live too far away from work, this is the perfect location! Posted on November 22, 2018 by Katie Lambert. This adorable FOUR BEDROOM home is practically new!! FULL REMODEL includes all new, quality wood laminate flooring throughout in that perfect shade and style. Matching custom paint throughout in a nice, neutral griege make the bright white casings, doors and cabinets pop with brightness! 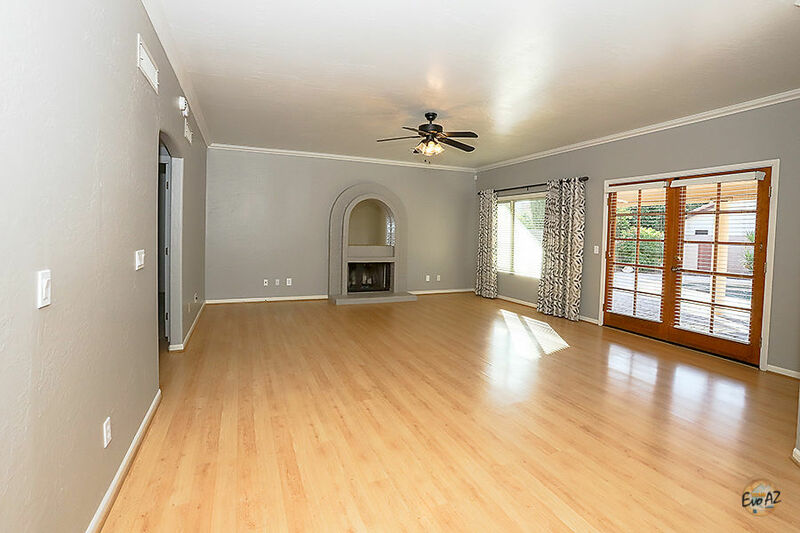 The large great room offers plenty of space for the family room and dining area with open kitchen and updated light fixtures. The fully remodeled kitchen with gorgeous granite counters and black appliances. The AC unit was replaced in 2015, the windows were replaced in 2016 and the roof was replaced in 2010. Located just down the street from Sundance Elementary and Sundance Park the home sits on an oversized lot with a 1 car garage. Posted on November 19, 2018 by Katie Lambert. Stunning CalAtlantic 2016 build in private and secure gated Gilbert community offers style, function and energy efficiency along with a highly sought after central location. Inviting curb appeal with low maintenance landscape highlights the appealing elevation with stacked stone and private entry. The hidden and private front patio reveals a stacked stone turret with craftsman front door and matching window shutters. Upon entry, enjoy the warmth of the ''wood look'' tile, custom paint in that perfect neutral color and plenty of lighting. The gourmet kitchen with double stacked cabinets, gorgeous quartz counters, tile backsplash, extra long kitchen island with sink, gas cook top, double wall ovens, huge double door built-in fridge and pantry will fulfill the dreams of any chef. Spacious and wide open, this home is an entertainers delight and is fit to accommodate all the family gatherings in style with the highly coveted wall of glass over-looking the perfectly manicured back yard adorned with pavers, raised flower beds and gas fireplace. Live the indoor/outdoor life that Arizona is well known for! This split 3 bedroom plus den floor plan offers a large laundry room and stunning master suite. The master bathroom has split double vanities offering gentleman's height, an oversized shower and separate freestanding tub plus large walk-in master closet and separate water closet. This desirable Gilbert location is close to a plethora of restaurants, shopping centers, night-life and family friendly entertainment plus the very popular and growing historic Downtown Gilbert is just 3 miles away. This new home is turn key with nothing to be done so you can spending time enjoying everything the amazing town of Gilbert has to offer! Posted on November 15, 2018 by Katie Lambert. Land for days!! 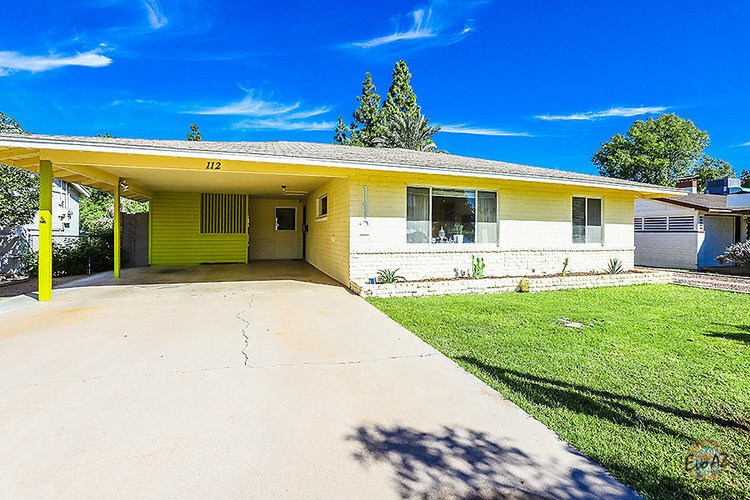 HUGE lot (over an acre) with remodeled 3 bedroom / 3 bath home. The kitchen boasts black appliances, dove grey cabinets and island with butcher block top. The spacious living room offers a fire place, wood laminate floors and breakfast bar at the kitchen. Neutral paint throughout with grey carpeting in the bedrooms. Bring your trucks, toys, horses and RV's as there is room for all!! Plenty of space to build that pole barn, guest house or oversized garage that you have always wanted. If you love nature, peaceful surroundings and space between neighbors, this is IT!